Looks wise, it’s a fine looking reel although not exceptional. Silver and black are usually a safe bet, and they mix well with the blue highlights. The body is quite narrow which always looks good. The glaring difference in the cosmetics between the two sides of the housing is appealing. The stem has a good amount of metal without being bulky. The wide spool skirt tapers back at the bottom for a sleek look. And the cut in the rotor is an aesthetic feature that is widely copied from the Saltiga and it remains an eye catching one. 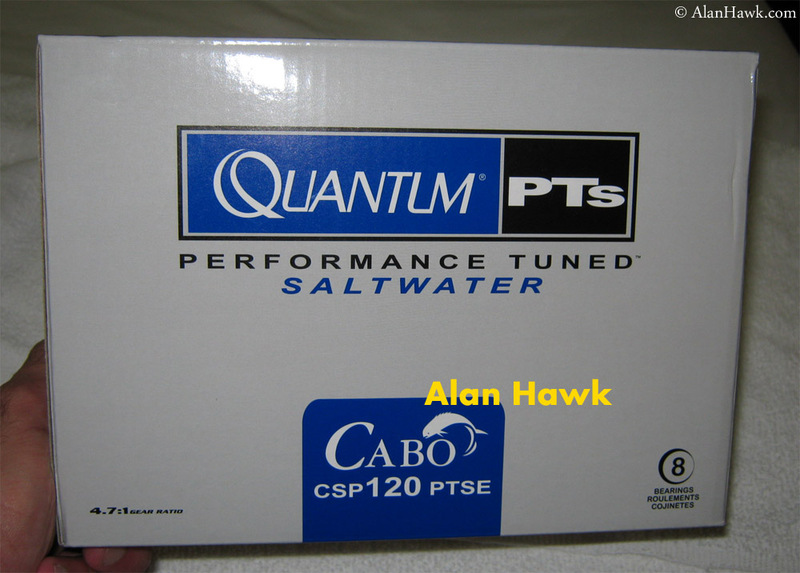 The box is quite similar to that of the smaller 2012 Cabo models, only on a larger scale. 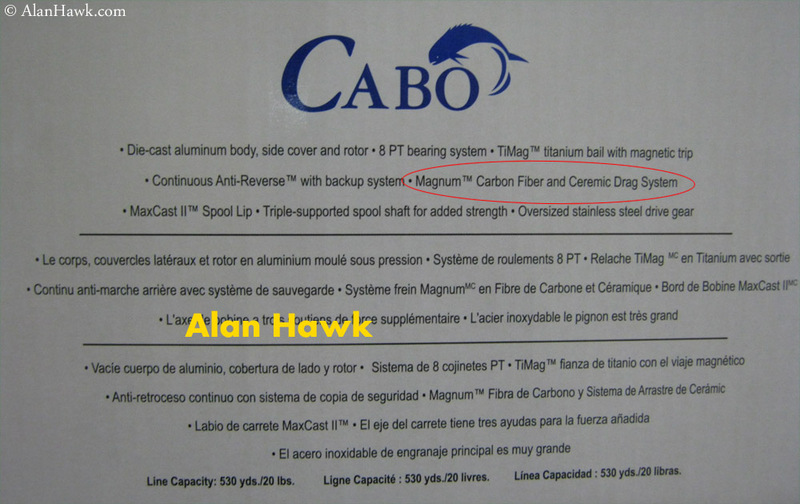 Speaking of other Cabos, when I reviewed the Cabo 80 I made it clear that the review covered sizes 60 and 80 only and that smaller 40 and 50 sizes were completely different. It’s the same thing here. 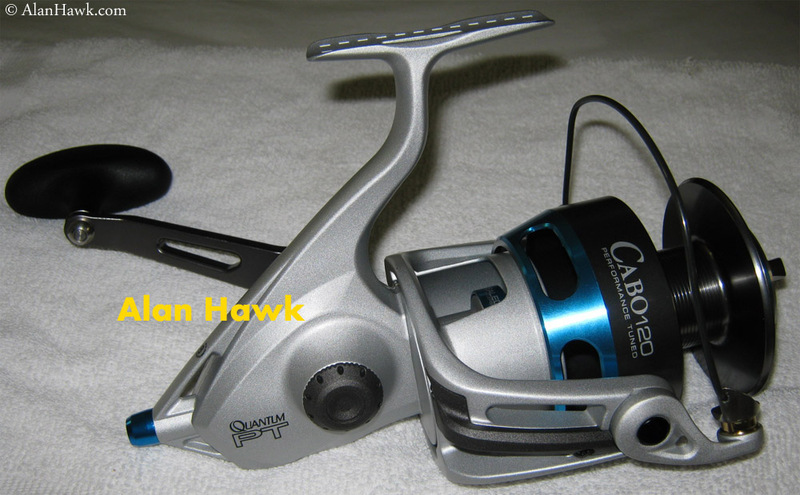 This review of the Cabo 120 covers the 100 size as well since it’s the same reel with a smaller spool, but 100/120 sizes are very different to the 2012 Cabo 60/80 and they should be treated separately. 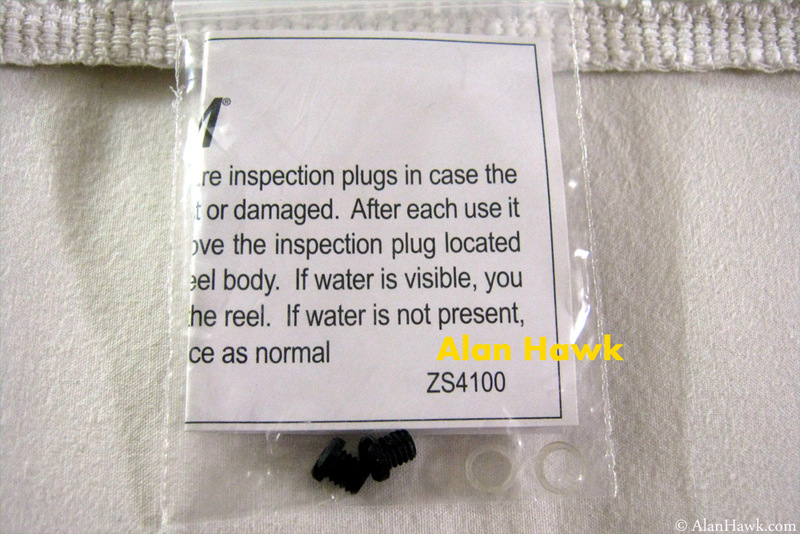 The reel came with a warranty flyer, a bag of extra spool shims with instructions for using them to tune line lay, and a bag containing two screws and two matching washers. These are for an interesting feature that I’ll explain later on. 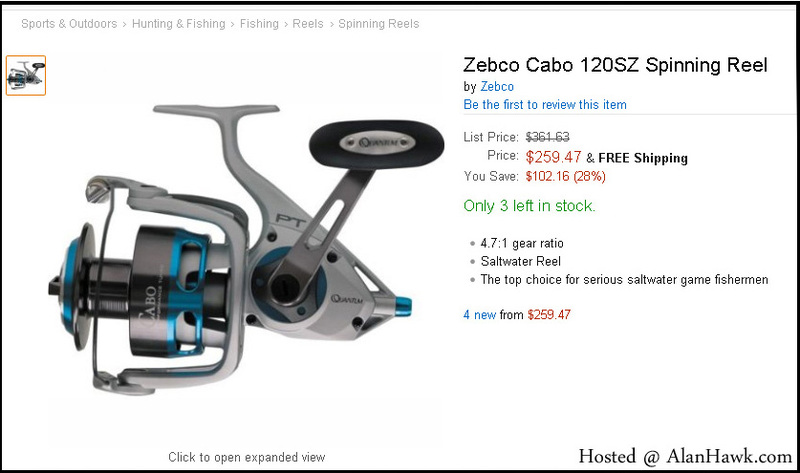 The Cabo 120 is an all-metal full size reel, and the weight reflects this. On my scale it weighs 943 grams (33.2 oz), which is a hair over the advertised weight of 33 oz. It’s on the heavy side, but the line capacity makes up for it and gives it an acceptable capacity/weight ratio. It holds ~540 metres (590 yards) of PE6 (0.4mm) line, or ~265 metres of 0.6mm mono for the trolling fanatics. This capacity is a tad higher than Shimano’s 20K size class, but lower than the 25K class. Do you see the stricken $361? Amazon and its sellers usually claim a false high retail price then strike it to make the discount appear bigger than reality, so at the selling price of $260 the saving is actually $30 only from retail price, which is still a good amount. Another resort is to find a good ebay seller and privately negotiate a good price with him, then if you reach a deal ask him to change the listing to a “buy it now” option for the agreed price and buy it. 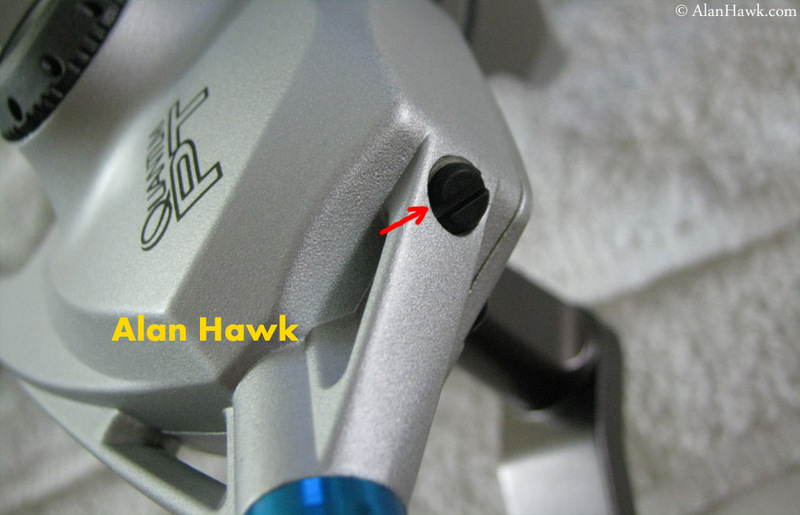 This method is particularly good when buying Shimano reels because most people are too scared to discount them publicly to avoid Shimano’s wraith. One of the obvious changes from the smaller Cabos is the beefed up handle stem. There were instances of breakages of the 80 handles when people installed power knobs and over-stressed them, but with this new handle on the 100/120 you can install a cinder block for a knob and it won’t break! Joint is changed as well, and I found this new design to be perfectly secure. 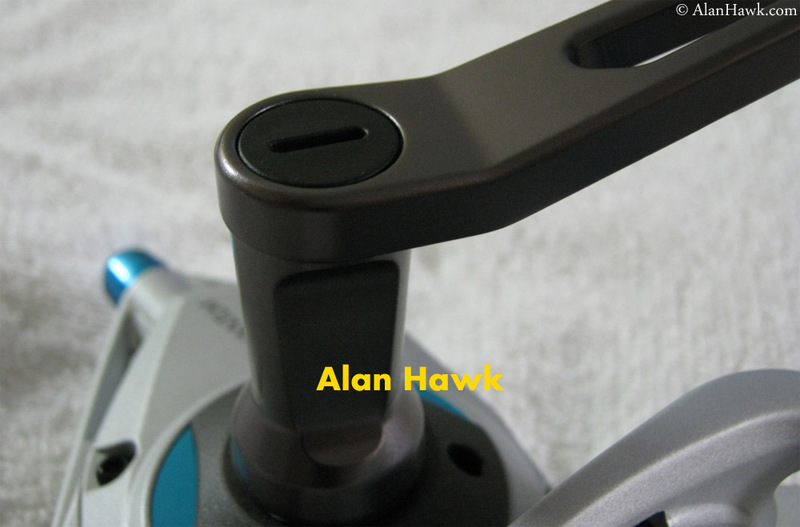 The handle’s threads have been enlarged proportionate to the reel’s size. Not that a spinning reel should be used to crank fish in, but it’s good to have the extra security for those unpredictable situations. 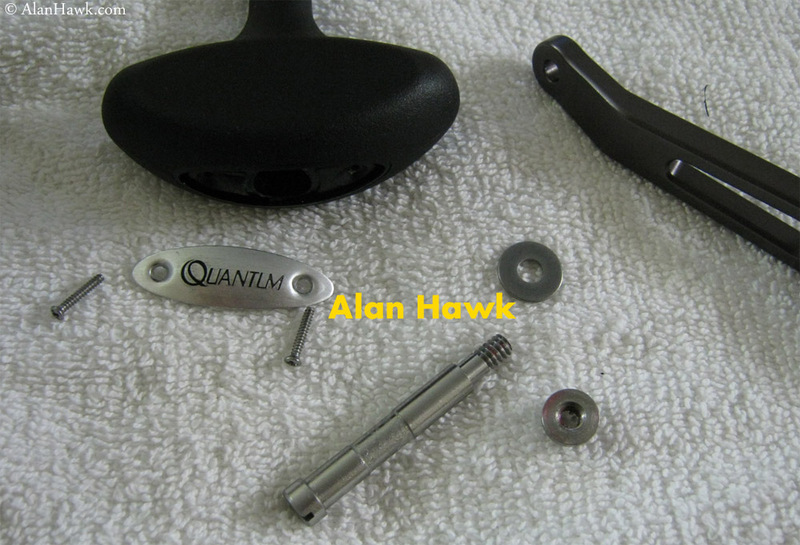 Simple knob setup that’s easily disassembled for maintenance and any desired upgrades. 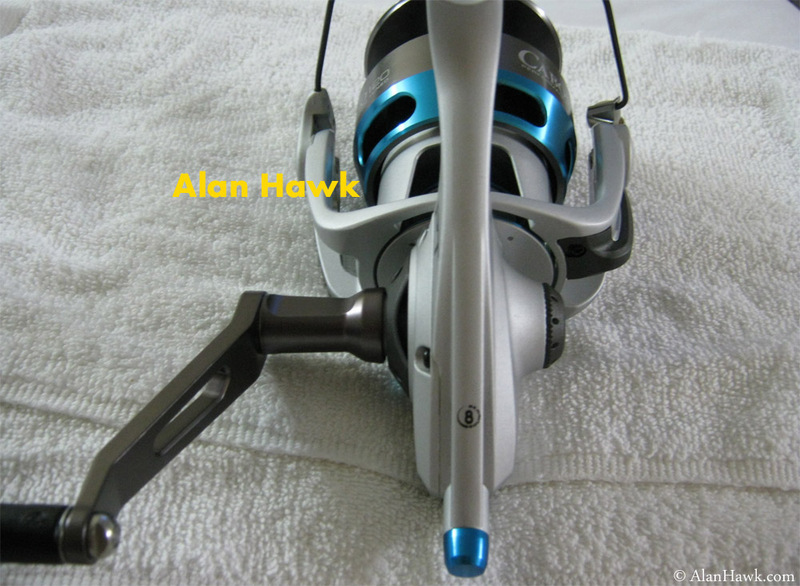 Another improvement over the smaller Cabo reels which have permanently bolted knobs that can’t be taken off. 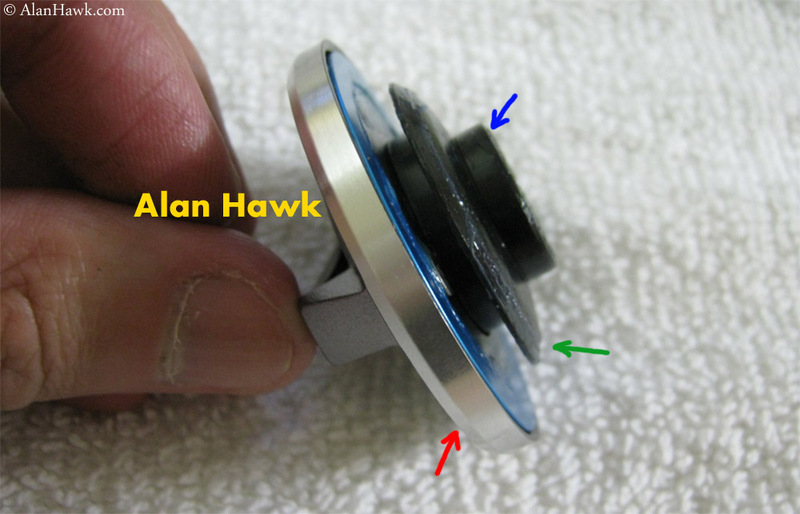 Drag knob has a metal housing (red arrow), a plastic pressure disc (blue arrow) and a mounted seal (green arrow) for protection against water intrusion. Back of the spool, the drag clicker is the reliable design inspired by the second generation of the classic Penn SS series of early 1990s, and it’s built well in the Cabo. This part is of a paramount importance to me because I can’t fish a silent reel with a broken clicker. Some people can, I am just unable to do it. 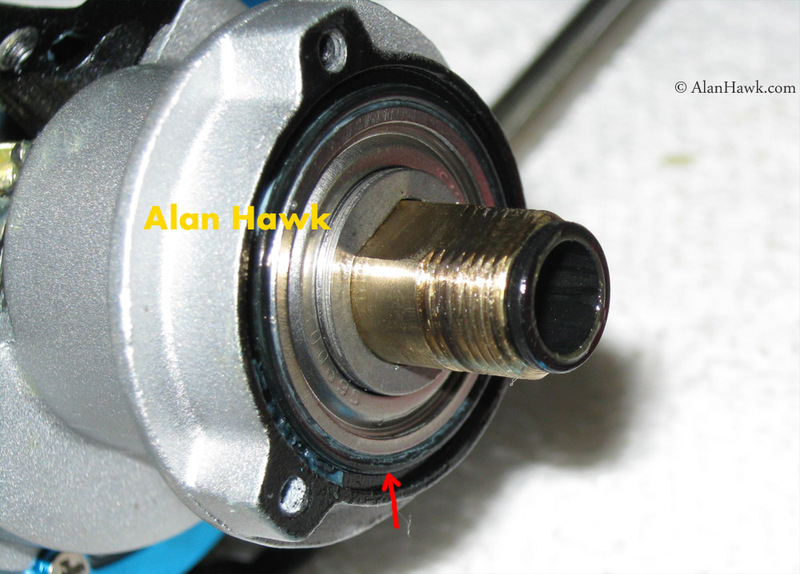 Taking the clicker plate off exposes the large bottom drag disc (red arrow), and the single ball bearing the spool spins on (blue arrow). And since there is only a single drag washer beneath the spool, a big top stack drag system was needed to achieve high drag ratings. With 7 large woven carbon fibre washers, the top part of the drag of the Cabo 120 is -on its own- more substantial than the entire drag systems of most mainstream reels. 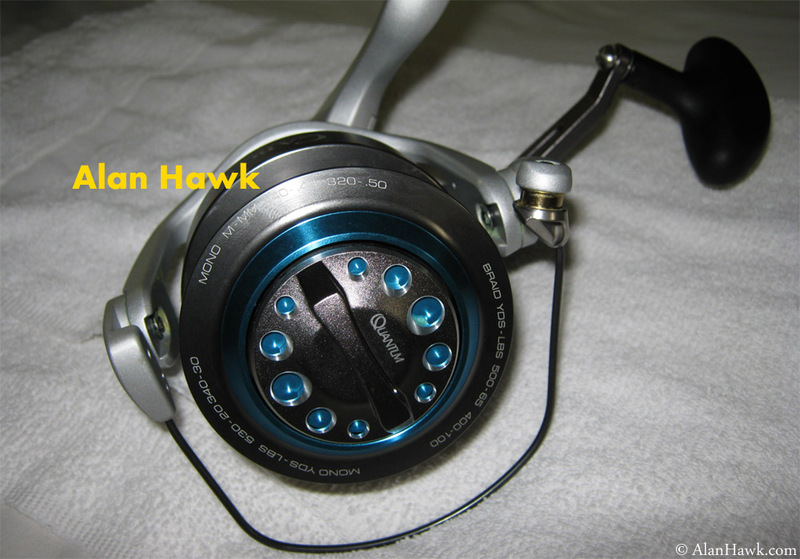 Quantum advertises the 120 as having 65 lbs (~29.5 KG) of maximum drag, which the reel outputs with ease. 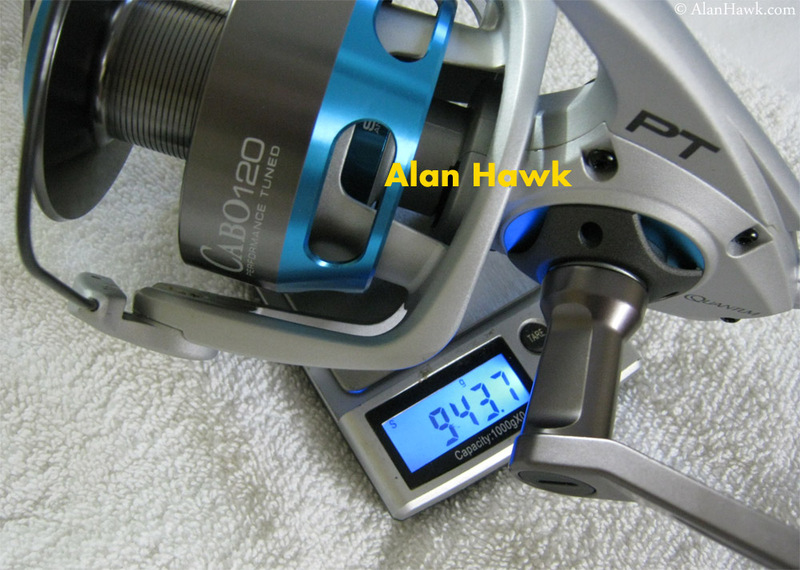 It actually topped at 68.5 lbs (31.1 KG) of drag during my tests, and as usual I systematically tested the ability of the entire reel to withstand this figure at the most vulnerable positions of the rotor and shaft, and it handled it without a problem. These were dry land tests because I am yet to see an actual fishing situation that requires anything close to these high numbers, therefore I do these stress tests away from water. During actual fishing I got the drag up to 14 kg (~31 lbs) against some of the largest groupers I hooked in over a year, and was fully satisfied with the performance. Smooth start up, no perceivable inconsistency in feel as line strips from top and bottom of the spool, highly responsive to sudden fish movements, no overheating largely thanks to the huge bottom washer, and the large diameter of the spool makes drag increase due to line going out very gradual and manageable with micro adjustments. One of the things I do is letting the green fish go a distance just to feel the change in drag as the line level on spool dips. I raved about the drag of the 80 a couple of years ago, and this one is even better. Actually at this point if I make a list of the best drags on all spinning reels, the 120 would come a close third right after the Expedition and the Stella SW. 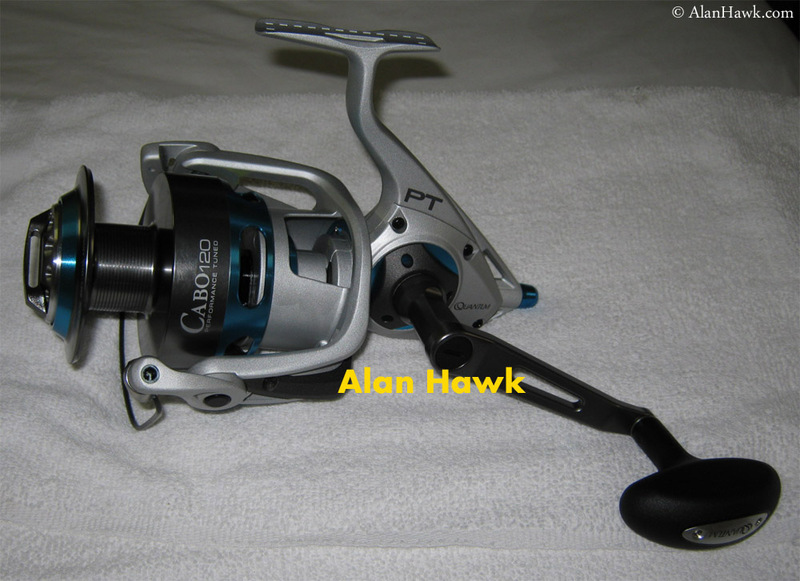 I find it quite amusing that I’m comparing some features of a $290 reel to the top reels of Daiwa and Shimano. A handful of years ago that would only be fathomable when discussing the likes of Accurate or Penn’s flagship reels, but now the quality of mid range reels is becoming more convincing than ever. Truly the golden times for spinners. Well, just like with the smaller Cabos, the claims of ceramic washers in the drag aren’t true. I found none, and honestly I don’t know why they keep saying that. 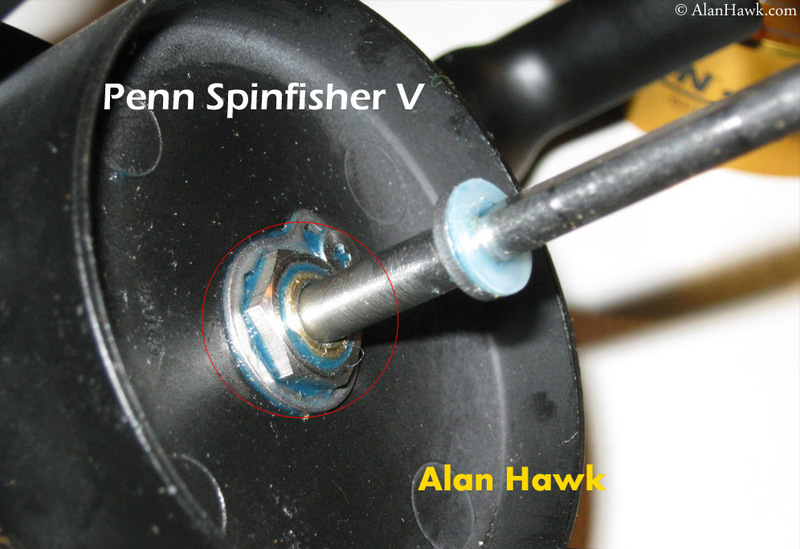 This is the standard open nut of a Penn Spinfisher V, where the pinion’s rim is exposed. 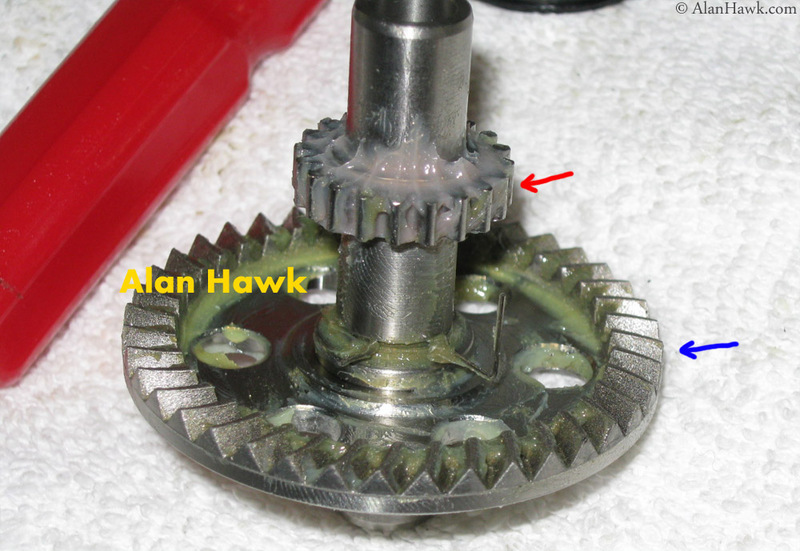 Beneath the nut there is a protective seal (red arrow), and a synthetic washer inserted into the pinion (blue arrow) to reduce the friction between shaft and pinion under load. A common method to mimic the effect of the ball bearing floating shaft design of high end reels. Not the same, but still makes a felt difference. 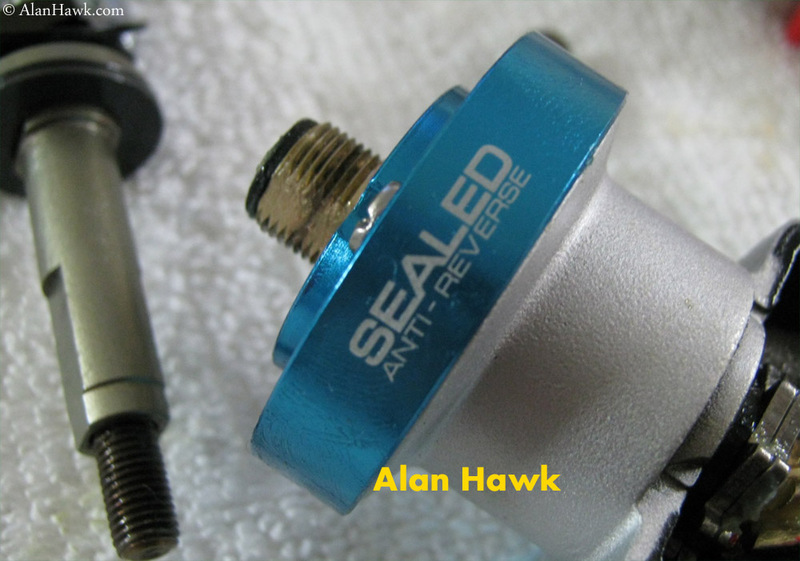 Continuing to copy the appearance of the Saltiga, a blue cover beneath the rotor has the large printing “Sealed” to resemble the “Mag Sealed” text of the Daiwa. This cover isn’t a screw-in one though, rather held by three screws. 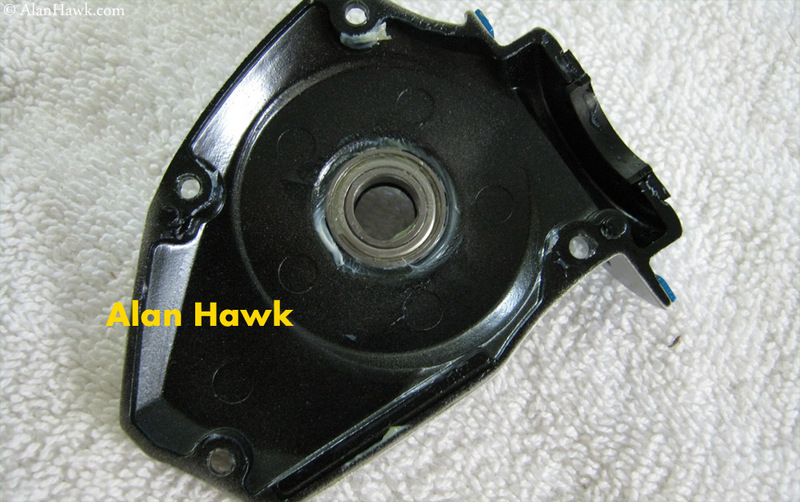 In the centre of the cover there is a seal to keep water out of the clutch/pinion assembly. And an O-ring seal beneath that cover. These are spare screws and washers to plug this draining hole in case you lose the original ones or damage them. This brilliant drainage/service port is another feature not found in smaller Cabos, and I give it a big thumbs up for allowing quick servicing and potentially keeping the reel going in the harshest fishing conditions. 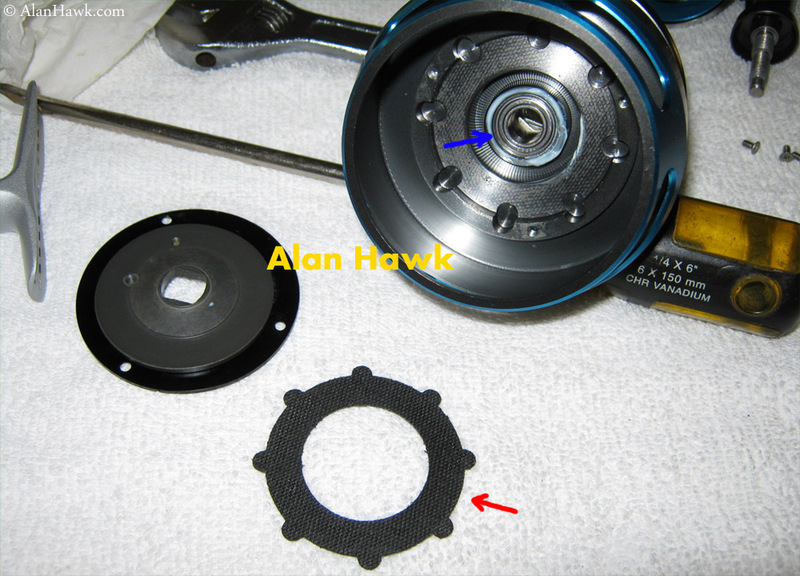 The drive gear runs properly on two bearings, and the fitting of these bearings to the body is snug and precise. Actually all the bearings in this reel are fitted very well. Some advertising material claim that some of these are “hybrid ceramic bearings”, but they seem to have dropped that claim from the text on the box, so I didn’t investigate it. 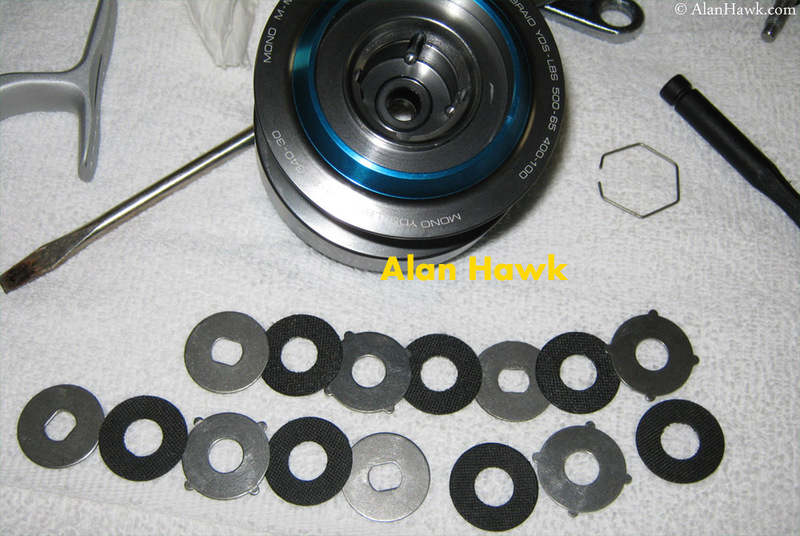 If you recall when I reviewed the Cabo 80 I actually took apart a few bearings on camera and found them to be regular stainless steel. 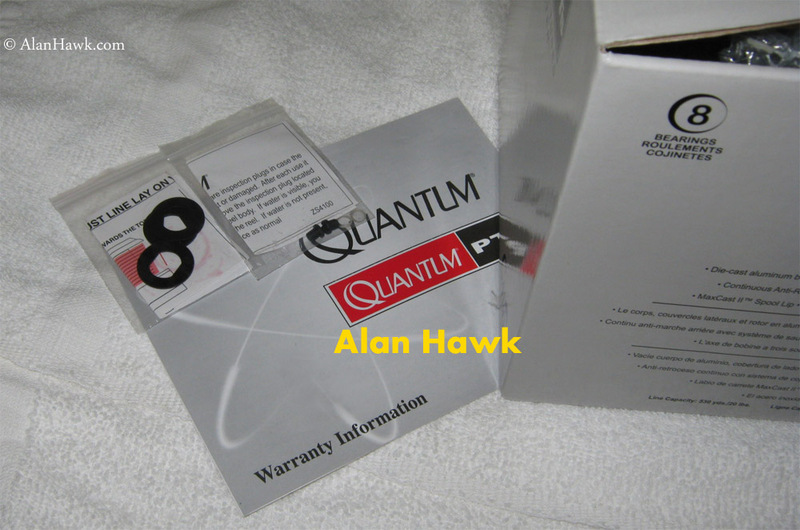 Not sure what’s the deal with Quantum and “ceramic” claims. Ceramic bearings aren’t a globally superior option as the myth goes, but let’s discuss this another time. 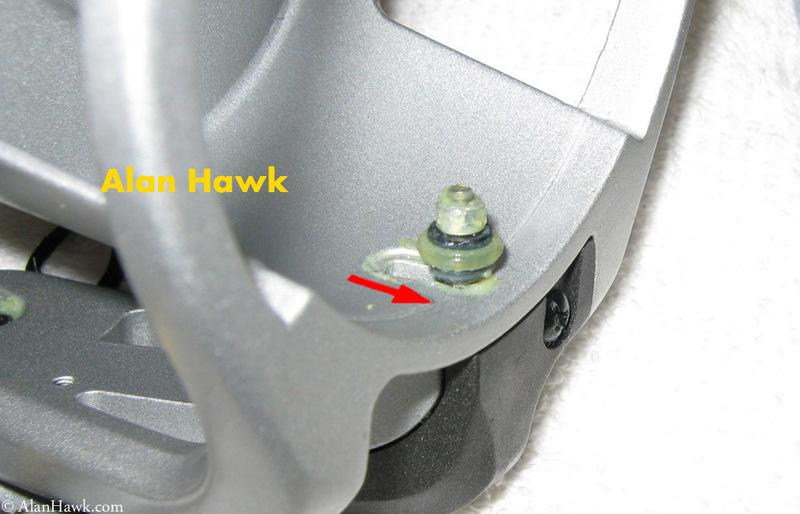 Beneath the bearings there is a rubber seal (red arrow) to keep water out of the handle’s opening, which is another upgrade over the 2012 small Cabos that have no protection there. 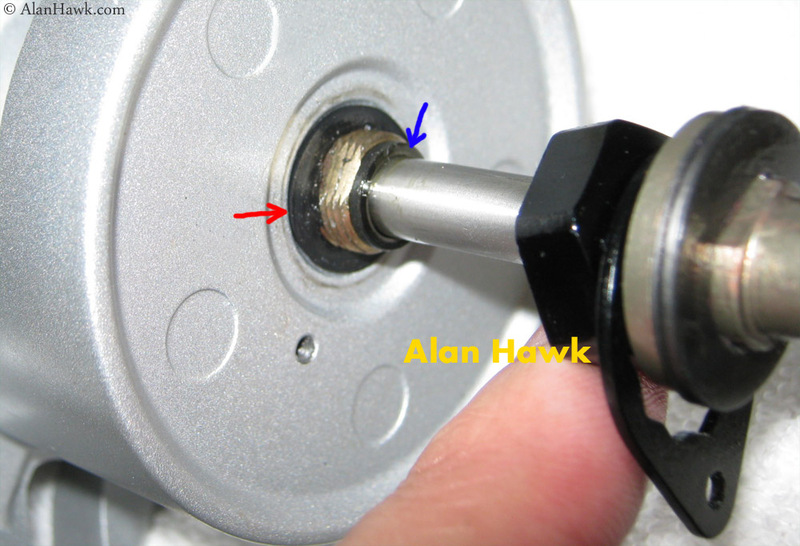 When there is a seal under a bearing, the bearing should be held down by screws to maintain good sealing qualities and to prevent the whole seal from rotating with the handle. They skipped this here to save money, yet the seals remain a welcome addition that I’d take over nothing. The gearbox has a few interesting things. The hardened main shaft is supported at the end of the body (encircled), you can see the strategic location of the service port (red arrow), and a backup anti-reverse system is present (blue arrow). Here it is. 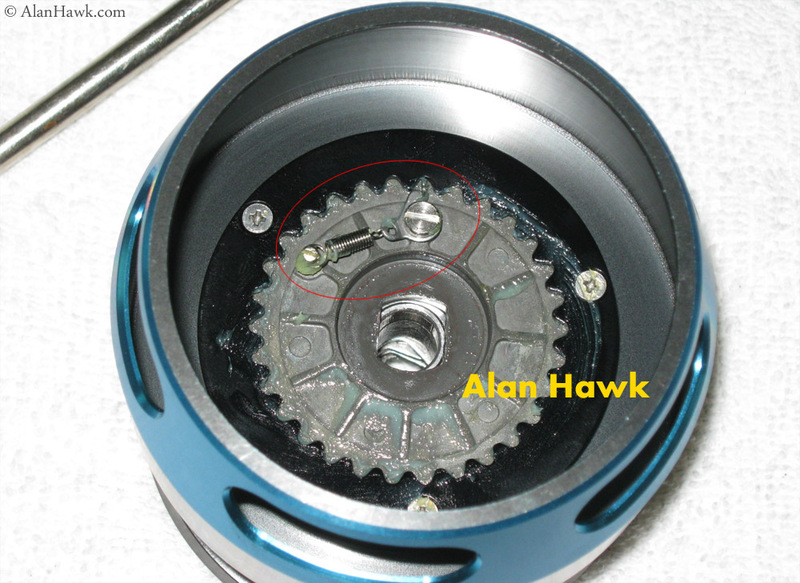 If the one way anti-reverse clutch slips or fails and the gear began to spin backwards, a wire spring will bring the dog (red arrow) down so that it engages the stainless steel ratchet gears (blue arrow) on the pinion and stop it from turning back. 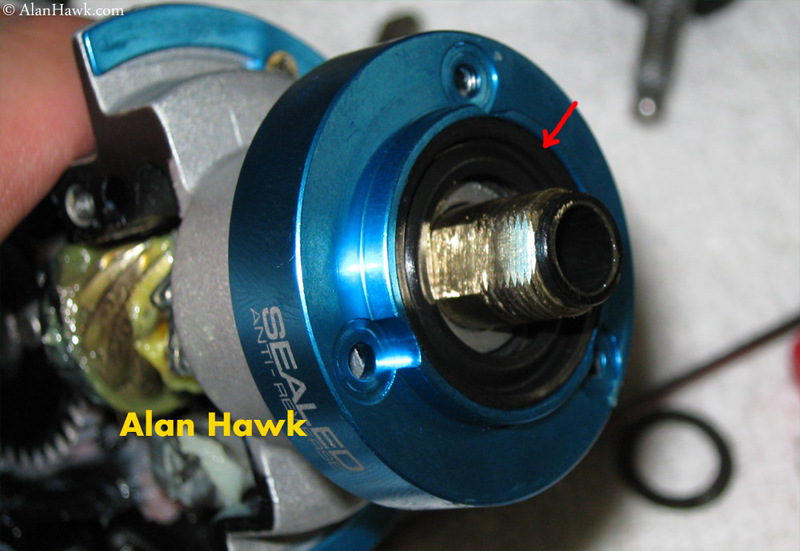 This system allows the reel to continue fishing as a traditional reel with ratchet anti-reverse until the instant clutch could be fixed later on. A design that 15 years ago was a novelty in Daiwa’s high end reel has now become a commonly found feature for added reliability in low-mid range reels. Makes you wonder if in 2025 the $20 combo reels of Walmart will be Mag-Sealed! 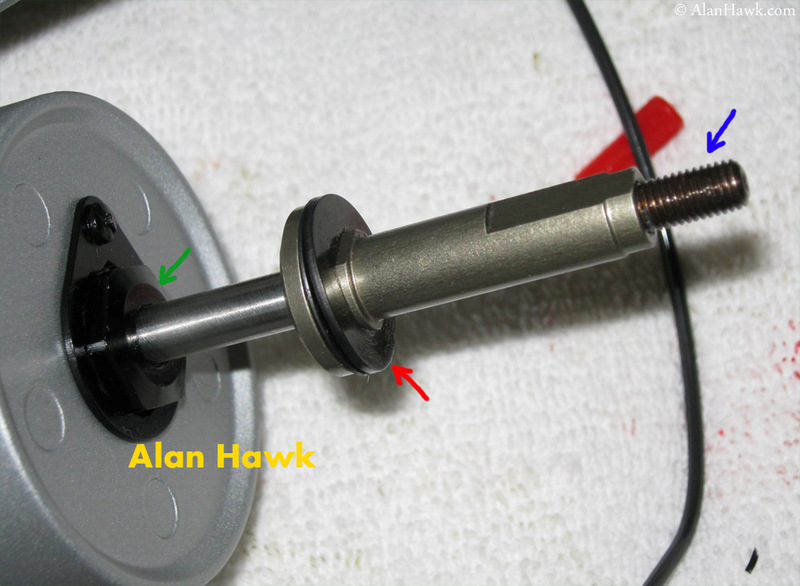 The oscillation gear is mounted on a ball bearing. 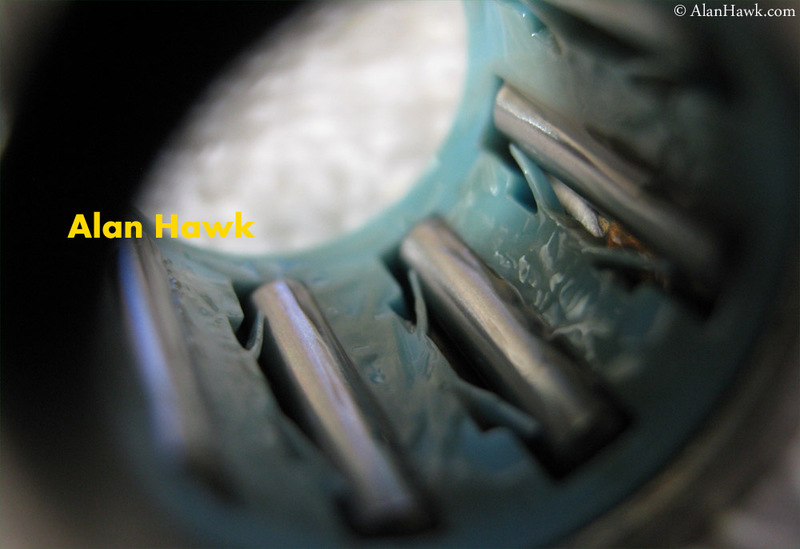 It has a black coating which is usually done for corrosion protection and durability, but as you can see here the coating is gone from the teeth of the gear with just about 120 hours of use. 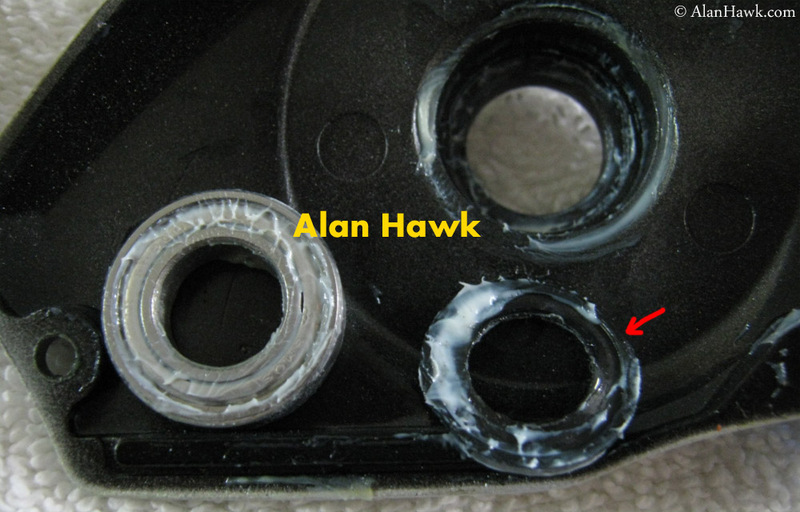 Not a quality coating, but this issue has no negative effect on the reel’s operation. 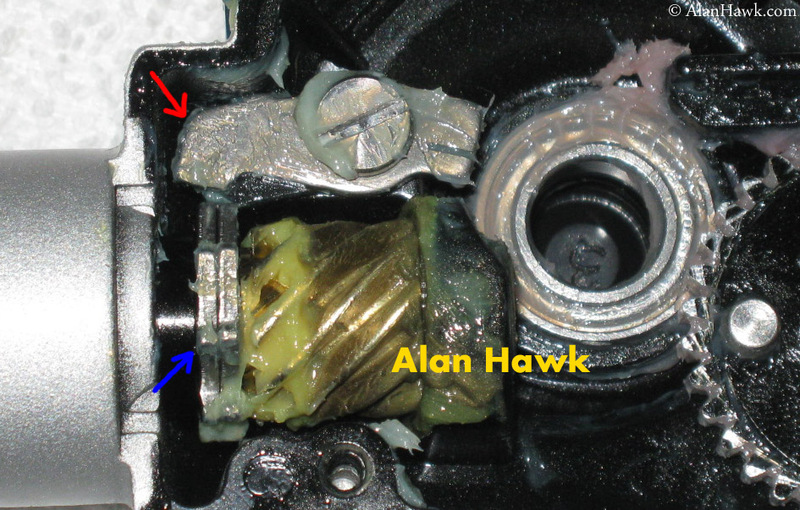 The traverse block has two synthetic “shoes” to reduce friction with the body under load (red arrows). 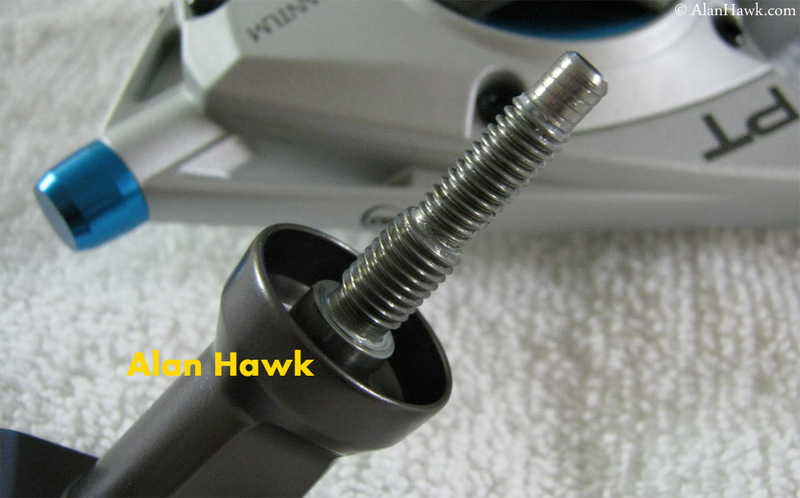 A strong part that’s attached to the shaft by two screws for added security. No complaints here. The anti-reverse clutch is Koyo. This is not one of their Japanese made lines, but nevertheless Koyo’s products are known for quality regardless of the manufacturing location. It started solid and remained solid throughout. I like to examine the inner workings of a clutch. Here integral plastic V springs keep the brake cylinders under pressure for immediate stoppage, and everything looked in good order without visible wear or spring setting. 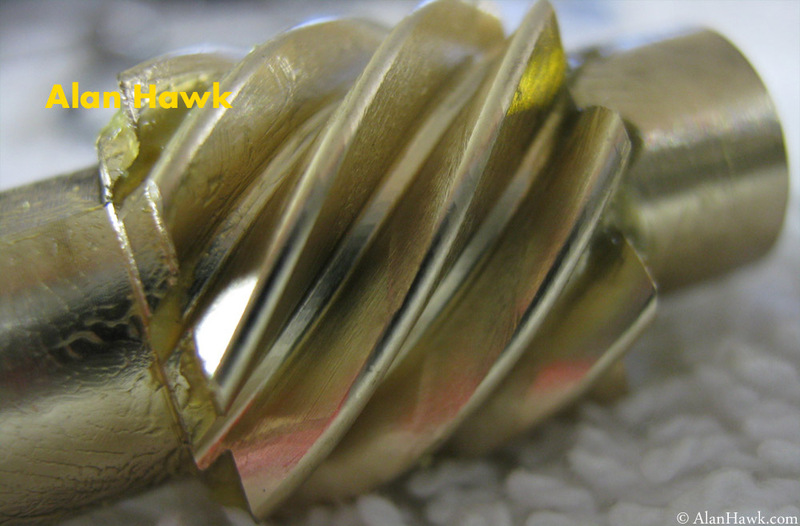 A close up on the heavy gauge machined brass pinion. Brass varies in quality depending on the specific alloy and processing, and I found the one in the Cabo to be of a high quality showing no deformation or chipping and having an excellent wear rate. I’d rate it slightly higher than the brass pinion of the 2013 Stella SW. 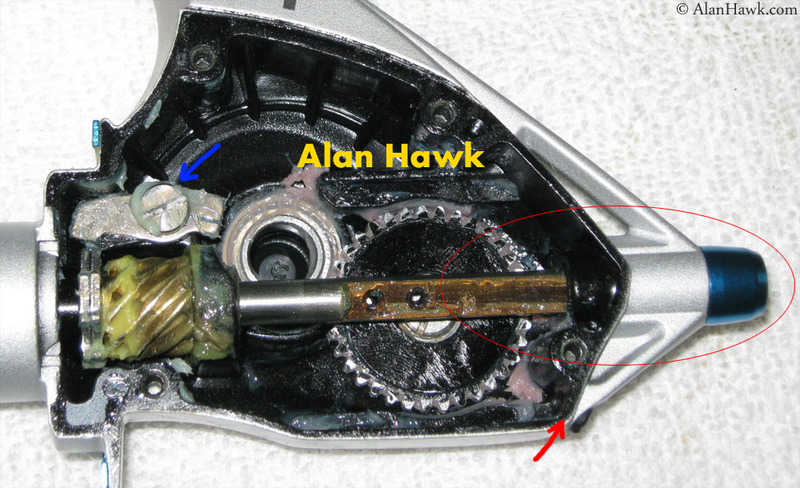 The large stainless steel drive gear is made of two parts pressed together; the stainless steel shaft with the oscillation drive gear machined into it (red arrow), and the gear plate itself (blue arrow). Promotional material describes the gear as “forged and machined”, and while the shaft of the gear is indeed machined, I have my doubts about the gear plate. 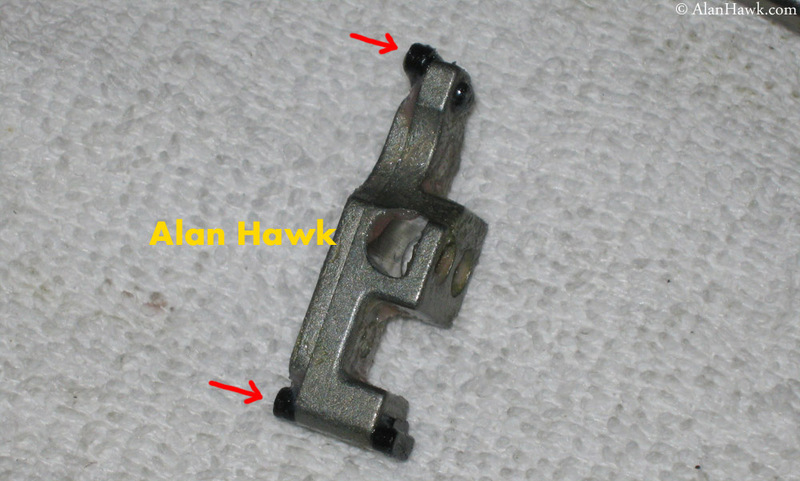 This definitely is not machine cut, and a forged surface is much smoother than this. I am quite convinced that this is cast stainless steel, followed by some trimming and finishing of the back and side of the plate. That said, a cast stainless steel is still a very strong part if made right. All metallurgy aside, real life use of the reel tells me that the gear of the Cabo is well made and a very durable one. Generally, stainless steel and brass is a tested and proven combination for gears and is usually found in classic reels that serve for many years. 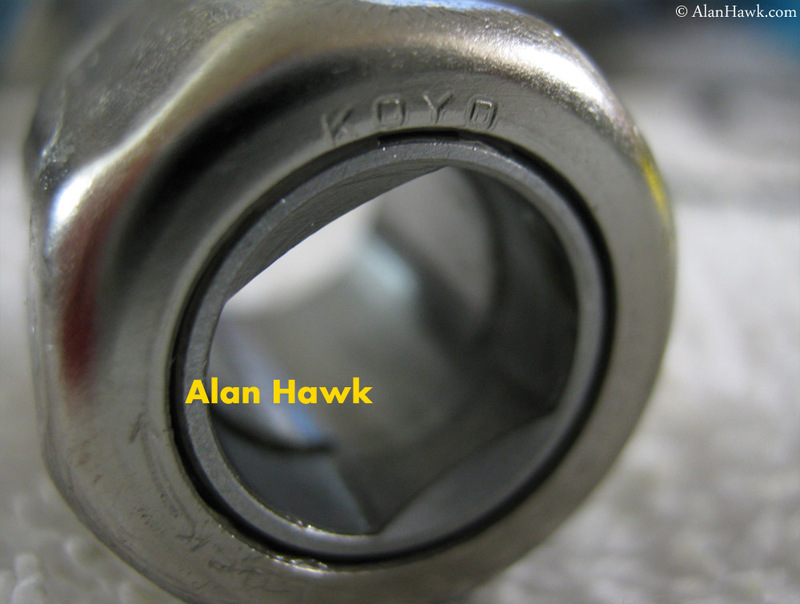 That combination provides strength, smoothness, and most importantly corrosion resistance. 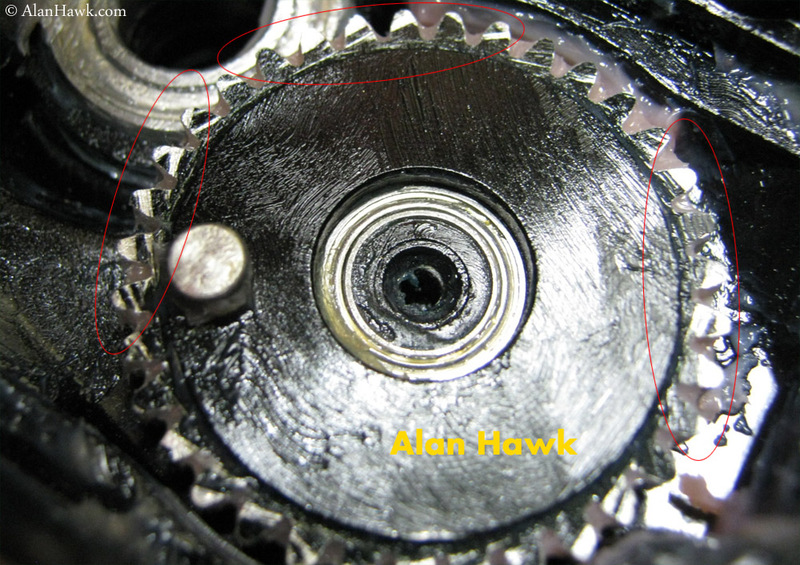 Optimally though the pinion should be made from the harder stainless while the brass should be utilised for the drive gear, since the pinion works 4-6 time more than the drive gear depending on the ratio. That’s not to say that the setup in the Cabo 100/120 is bad. It’s not perfect, but it still beats that of many more expensive reels. 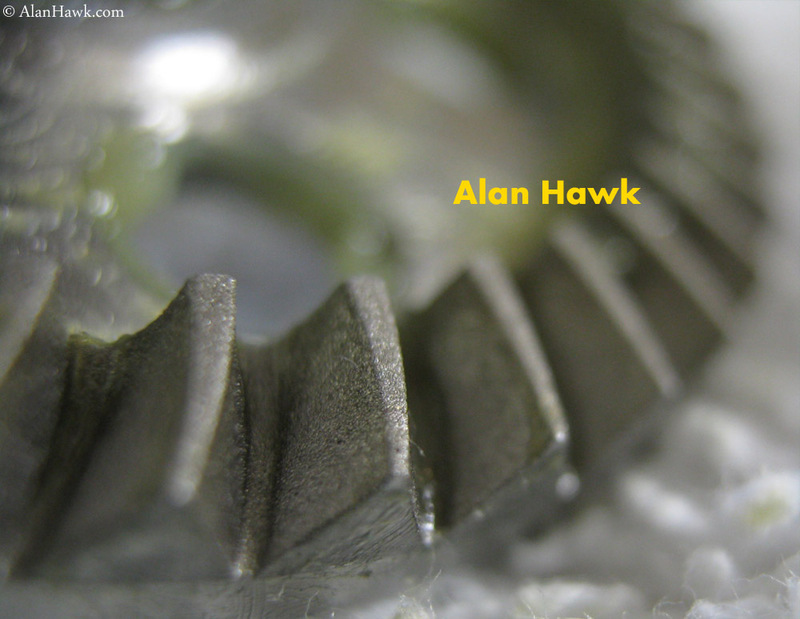 A stainless steel drive gear, cast or not, remains head and shoulders above duralumin no matter how it’s made. I initially was worried about the the bail arm’s strength and if it would be able to handle the very high drag stress, so I took measurements and reference points related to it before doing anything, then used these to check the bail arm after the tests and found it to be in a perfect shape without even a slight bend. 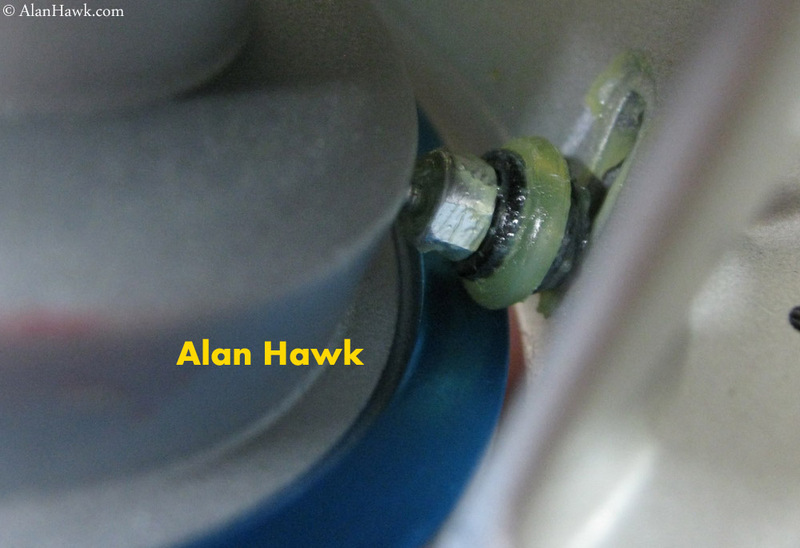 The bail is operated by the same magnets as in the 2012 small Cabos, so there are no springs or a bail mechanism. When the bail is opened to release line or cast, this mysterious roller moves down in the direction of the arrow. And by moving down the roller touches this blue rail and rolls on it. I scratched my head long and hard, catching a few head bugs in the process, yet I couldn’t figure out what it is. I think it was supposed to be some kind of a rotor brake, but it doesn’t work by design. I even tried to wipe off the grease to see if it will have any braking effect, but it didn’t. I’d have thrown away this useless part, but taking out any parts on the rotor could throw its balance off and cause wobbling. Like a car’s tyre, rotors of spinning reels are finely balanced for stable rotation. 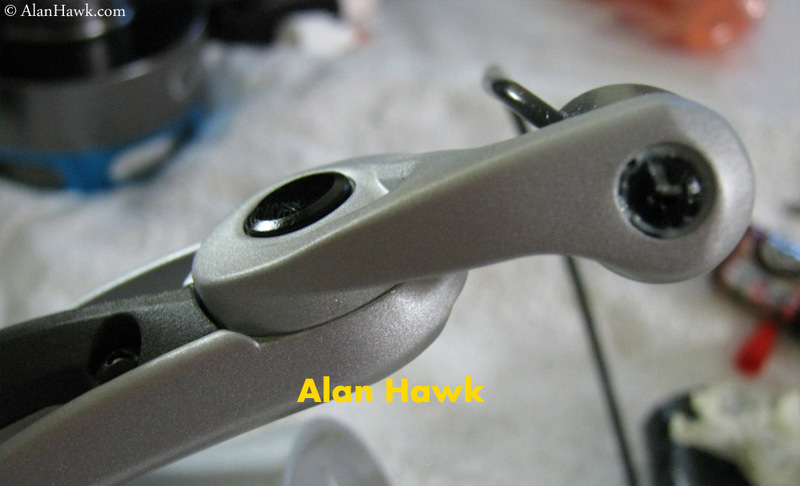 The absence of a working rotor brake isn’t a problem anyway since the 100 and 120 have manual bail closures leaving no chance of an accidental bail flip during a cast. The smaller 80 and 60 reels on the other hand have automatic bail trips, which could be disabled by removing a plastic ramp as I explained when I reviewed them. Line roller is quite wide to take thick leaders, and it has a tough finish. 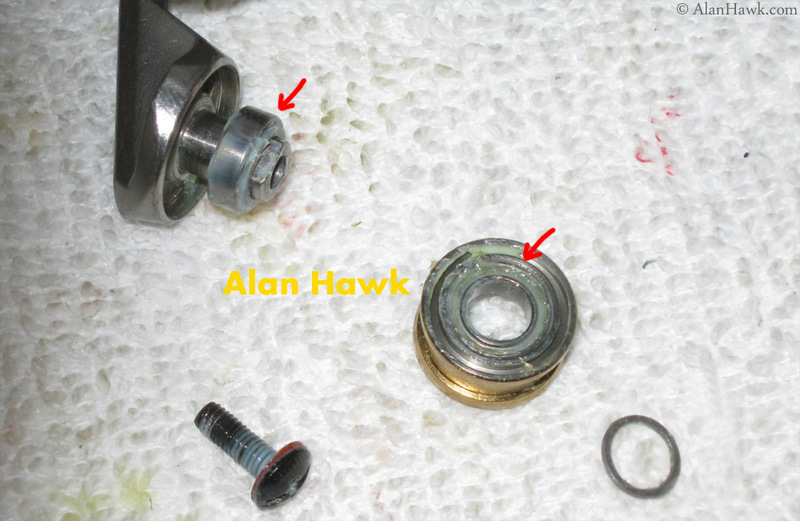 The roller spins on 2 ball bearings (red arrows), and the unit was heavily greased from factory and the grease remained in good condition after all the use. With the normal rinsing at the end of a day’s fishing I see this part working properly for a long time. 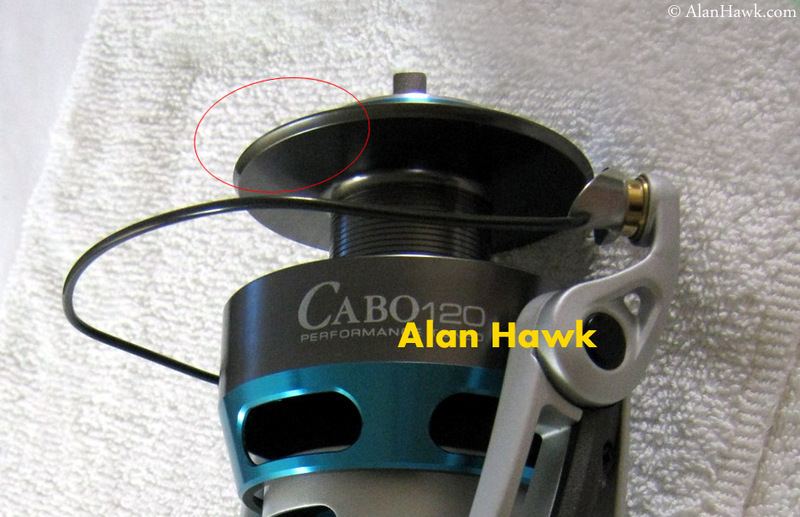 The reel has the same “concave” spool lip of the smaller Cabos. Although I didn’t do any topwater fishing with it, I threw poppers and stick bait solely for the sake of evaluating its casting performance. 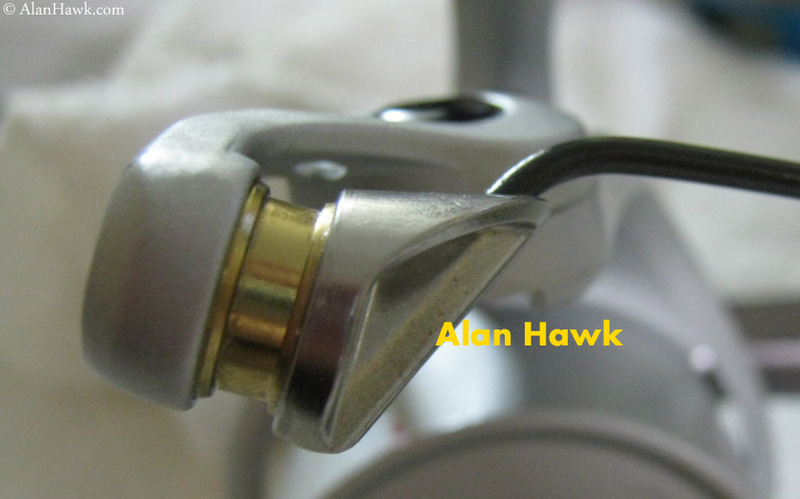 I found the 120 to be a very respectable caster, among the better casting boat reels that I used. This is partially due to the spool lip, but mostly a result of both the uniform line lay and the large diameter of the spool releasing larger coils and without rapid dipping in the level of line (equals less friction with flange). 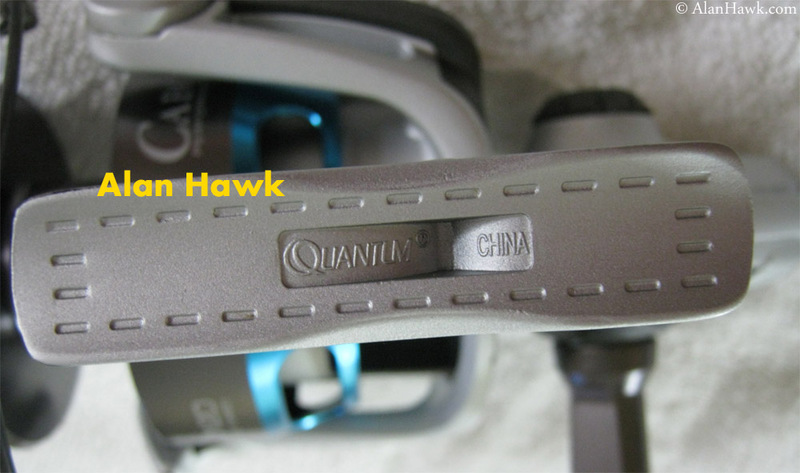 I would love to see Quantum making them in higher ratio as well, since the slowish 4.7:1 ratio makes the 120 more of a jigging and bottom fishing reel. This is all. The reel succeeds on both design and execution levels, and it has no major problems or issues that affect its function. These 2014 models have considerable upgrades over the 2012 small Cabos, but ultimately they are based on them, and as pointed during the review things were learnt from issues with the smaller ones and addressed in the 100/120. We’ve seen this scenario before where a brand releases a new reel in a smaller size first, then a year or two later follows it with larger ones after making any needed tweaks. In addition to the upgraded gearing and overall strengthened design, the 100/120 have an increased level of water protection despite not being fully sealed. I also expect the added service opening to become a popular feature. 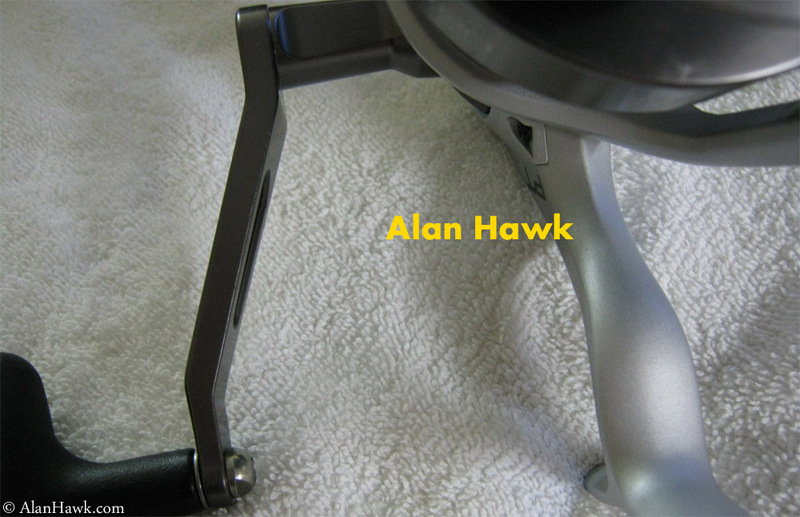 – Smoothness is the quiet fluid operation of the reel without gear noise or inconsistencies in the feel or motion. Had to say it because people still mistakenly call the lightness of turning the handle “smoothness”, when in reality that would be “free spinning”. – Use this table strictly to make comparisons in each category individually. This has no bearing on the score for my top lists where the formula involves wider criteria with different dynamics and benchmarks altogether. – The only way to definitively judge the longevity of a reel would be to fish it for 5 years then see what happens, but have I done that I’d still be testing the 2010 Saltiga and preparing to post its review next year. We can agree that this would be slightly stupid, so instead I estimate longevity based on my observations of the wear relative to the amount of use, with help from my experience with many reels over decades of fishing. Take it for what it’s worth. As you can see there are no winners or losers, and the four of them are brilliant reels, each with its own stronger and weaker points compared to the others. Choosing between them is about figuring out your own specific needs and which reel meets them better.